The First Battle of Gaza was a World War I battle on the southern border of Palestine. After eight months of painstaking advances, British Empire forces had succeeded in driving the Turkish forces from the Sinai Peninsula where they had been attempting to menace the Allied supply route through the Suez Canal. Now the Allies were trying to advance into Palestine with the ultimate goal of cutting off the Turkish forces in Mesopotamia and on the Arabian Peninsula. As a first step, they needed to capture the stronghold of Gaza which dominated the southern coastal route into Palestine. The battle was the first predominantly infantry assault of the campaign and was a costly fiasco for the British command who handed victory to the Turks. In January 1916, he was given command of the Egyptian Expeditionary Force. 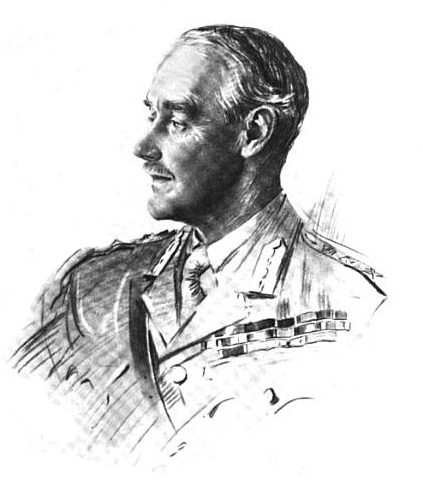 Trying to prevent another Turkish attack against the Suez Canal, Murray reorganized his troops and led a counterattack, which captured most of the Sinai Peninsula, but became stymied in Palestine. 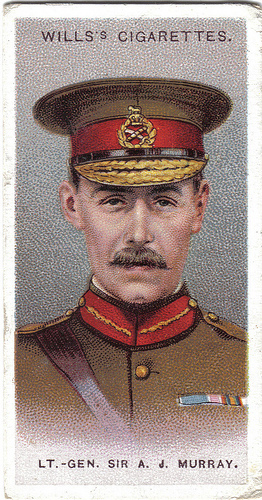 Murray was unsuccessful in his attempts to seize Gaza (see First Battle of Gaza and Second Battle of Gaza) in 1917, and he was ultimately relieved of command, and replaced by the much more successful Edmund Allenby. He was known and criticized for his indecisive character and was not particularly well-liked by his men, largely because he ran his campaign more often than not by remote control from Cairo, rather than the field. He also authorized T. E. Lawrence's expedition to join the Arab Revolt against the Turks in Arabia, providing monetary and limited military support for Lawrence's attack on Aqaba. Initially skeptical of the Revolt's potential, Murray became an ardent supporter of it later in his tenure in Cairo, largely through Lawrence's persuasion.